As competitor Convene ramps up its expansion into Chicago, WeWork is inviting members and non-members alike to book private events at several of its local offices. The available spaces include lounge areas — already open to WeWork members during the day — at the company’s River North outposts at 515 North State Street and 20 West Kinzie Street and its Fulton Market location at 220 North Green Street. Companies can also book an enclosed “workshop” room at 515 North State. WeWork offers private event booking at more than 100 of its 600-plus global locations. The service officially launched in Chicago this month after a pilot period, and the company will seek to expand its booking space offerings around the city. 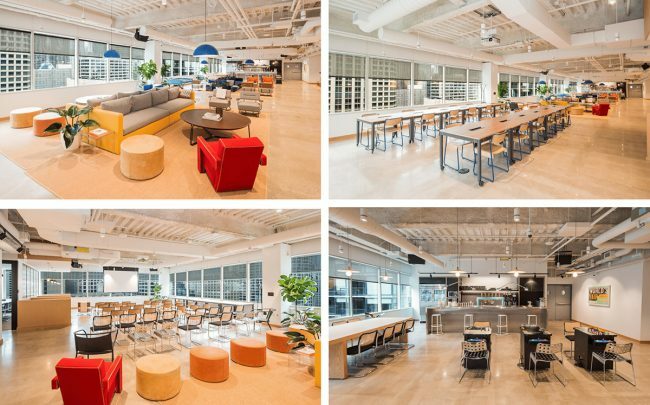 The expansion coincides with four new Chicago locations being opened by Convene, a New York-based firm that specializes in corporate meeting and event spaces. WeWork now operates four locations in River North, three in the Loop and one in Fulton Market. In December, it announced it would open an additional site at 222 South Riverside Plaza, near Union Station. The We Company, valued at $47 billion as of January, saw its bond prices dip this week after it reported nearly $2 billion in losses last year.